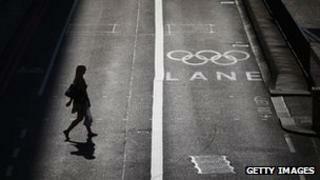 Transport - an Olympic legacy? The perceived wisdom is transport in London during the Olympics was absolutely brilliant and there were no problems at all. As I said at the time, there is no doubt the transport operators coped well. However, and I appreciate I am a lone voice here, there were certainly challenges during and before the Games. Don't forget the run up to the Games was diabolical. The Hammersmith flyover had weight restrictions, the M4 had to be shut when cracks were discovered in a viaduct, no one knew who was policing the M4 Games Lanes and the Central line flooded. During the Games we had huge queues on the A4 and A40 as confused motorists didn't use the Games Lanes when they were allowed to. We had queues on the A10 from Essex lasting several hours while Transport for London (TfL) re-sequenced the traffic lights. Cabbies, too, were extremely critical and said TfL had scared tourists away, prompting TfL to change its warnings from "change your travel habits" to "change your travel habits but enjoy what London has to offer". Of course perhaps all of these are minor in the wider picture and the Games were undoubtedly a success overall. So what have the transport authorities learnt? The whole model relied on commuters staying away or changing their travel times. TfL was very successful in doing that (some argue too successful), but is there a legacy? TfL's bill to London 2012 of £410m included staff bonuses. But in real terms £228m was invested in new Olympic infrastructure like the Docklands Light Railway (DLR) to Stratford and the new DLR stations like Stratford High Street. We now have accessibility ramps at a lot more stations due to the Paralympics. The latest TfL figures also show there has been a slight change in commuter habits. Before the Games 13% of commuters worked from home at least one day a week, during the Games that increased to 26%. Now 20% of commuters are working from home at least once a week. Whether that was solely down to the Olympics it is very difficult to say. What has also changed is how TfL now communicates with travellers. It calls it TDM - Travel Demand Management. So, if London Bridge is being closed it will use social media, the web and adverts to try to get commuters to use other routes. It will be interesting to see if travellers become less receptive and get message fatigue. Also, when it comes to big events TfL and the train operators are far more co-ordinated than they used to be. There is an event management desk in Palestra (a building in Southwark) to co-ordinate transport. The next time it will be used will be for Ride London 100 on 3 and 4 August when all the bridges will be shut in Central London. Michelle Dix from TfL said: "That's the biggest legacy in terms of behavioural change. "We proved that through messaging and communications and telling people what's going on, telling them about alternatives so they can make informed choices, we proved that you can manage these big events. "The Olympics was huge - lots and lots of Wembleys all on the same day for two weeks - a huge process of managing people and what we've learnt is you can do that for other sustained events such as London Bridge. "London Bridge is going to be completely refigured over the next eight years. There's going to be disruption at the station and what we're doing is applying those lessons of communication." But one of the real legacies is for transport organisations. They have successfully put on the biggest event in the world. Yes of course there will be problems in the future - but Londoners now expect high standards from their transport system all the year round. If transport operators can do it for the Games - why not? What is 'Plan B' if M4 stays shut?